Byrnes Downs Sign. Courtesy of Special Collections at the College of Charleston. 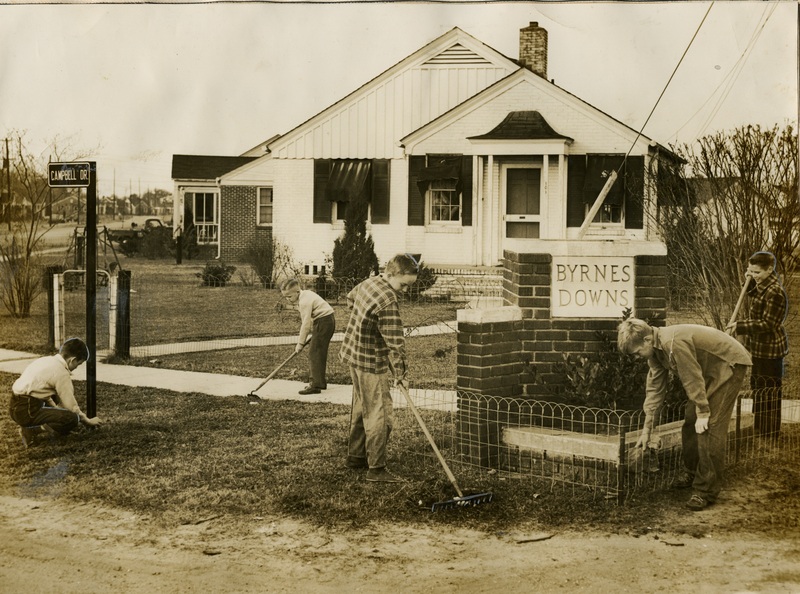 On Jan. 15, 1948, fifteen women assembled to form the Byrnes Downs Garden Club. According to the Club’s constitution, their mission was to “improve and beautify our community, to coordinate and stimulate interest in gardening, and to aid in the protection of our wild flowers and birds.” They started by installing street signs and lights, selling and planting trees, and clearing a vacant lot. Byrnes Downs Yearbook Cover. Courtesy of Special Collections at the College of Charleston. 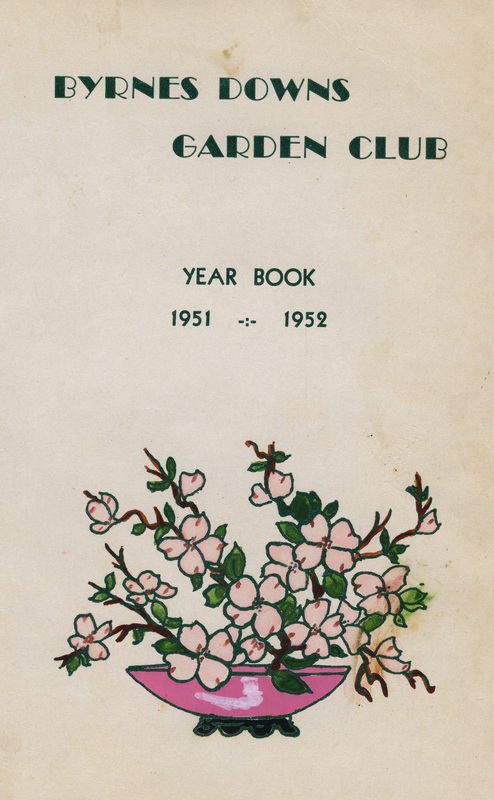 This scrapbook documents the history, projects, and activities of the Byrnes Downs Garden Club from 1948 to 1953 and contains photographs, newspaper clippings, typed histories, yearbooks, programs and awards.